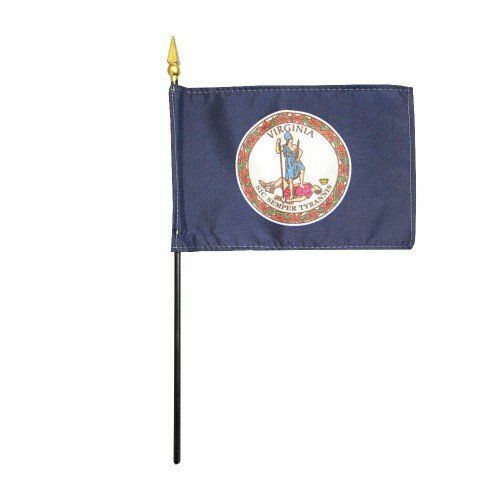 AmericanFlags.com is proud to carry Virginia State Flags in a variety of materials, and styles, in sizes ranging from 4 IN X 6 IN to 12 FT X 18 FT. All of our Virginia flags meet official specifications, are on sale right now and are ready for immediate shipping to your door. 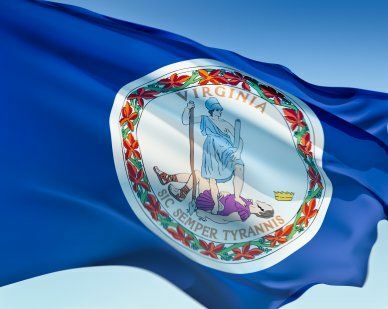 Adopted for official use in 1861, Virginia's state flag boasts a deep blue background and the state's seal, which reads "Sic Semper Tyrannis," which translates to, "Thus Always To Tyrants." 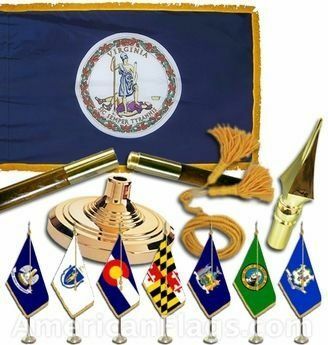 The two figures in the seal graphically portray the motto. 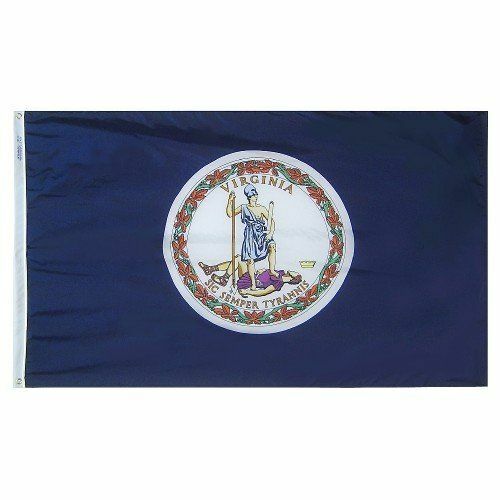 The Goddess Virtue, who represents Virginia, holds a spear and a whip. The man lying on the ground is the fallen tyrant who represents Britain.